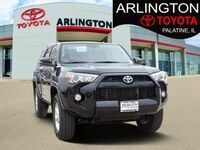 While the Toyota 4Runner might not be as well-known or recognizable as, say, the RAV4, it has been a staple of the Toyota lineup for years and is one of only two remaining pure SUVs the brand still offers. As the number of true SUVs dwindles year after year, the competition grows more and more fierce as there are only a few to select from. 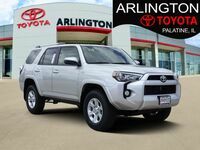 That’s why we thought we’d see how the 4Runner measures up to the true icon of the segment, by pitting the 2018 Toyota 4Runner vs 2018 Jeep Grand Cherokee. 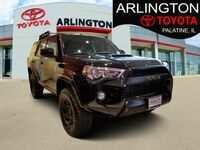 To make this comparison we chose a few of the most pertinent specifications to take into consideration when shopping for a true SUV and piled them into the table below, analyzing the specs for each vehicle side by side. Read on below to find out the details. 270 HP / 278 lb-ft. Power Ratings 295 HP / 260 lb-ft.
47.2 cu. ft. Cargo Capacity 36.3 cu. ft.
1,700 lbs. Max Payload 1,180 lbs. 5,000 lbs. Max Towing Capacity 3,500 lbs. Let’s start with the first row, in which we look at the two utility vehicles’ power ratings. 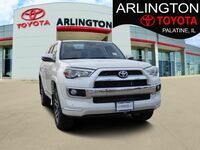 When it comes to horsepower, the Grand Cherokee generates an extra 25 HP; but, in torque, the 4Runner offers an extra 18 pound-feet. The advantage goes to the Jeep, but it isn’t a very big one to be certain. However, things become a bit clearer and steeper in the second row, as we turn to cargo capacity. 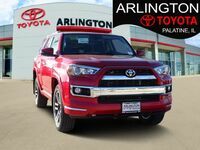 This is arguably the most important aspect of an SUV, and the fact that the 4Runner can hold an extra 10.9 cubic feet of your stuff is pretty huge. 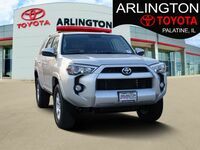 The advantages in the 4Runner’s favor don’t let up from there, either. Not only can it hold more stuff, but it can hold heavier stuff, thanks to an extra 520 pounds of max payload. And if you have to tow a boat or trailer behind you, you’ll be able to accommodate more weight thanks to an extra 1,500 pounds of maximum capacity. 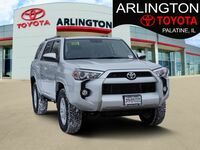 If you want to make a 2018 Toyota 4Runner your own, give us a call today!